SecurityCam provides affordable surveillance camera systems that provide practical surveillance for a business, home or property. A surveillance camera system is a deterrent weapon in the fight against criminal damage and unauthorised entry to buildings and property. Help safeguard your family, keep an eye on your home and property with real-time surveillance camera monitoring with email and smart phone delivery of images when you are away. Surveillance camera systems will help prevent thieving, shoplifting, deter graffiti artists and record perpetrators red-handed when you have security cameras in place. We have camera solutions starting from $200 and up, and we offer a full design and installation service. 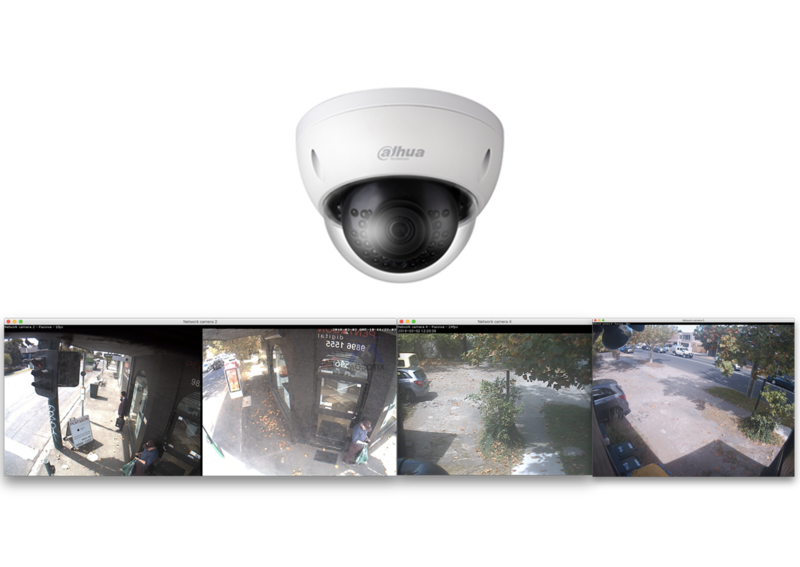 Our surveillance cameras are dedicated to providing security monitoring day and night. Cameras are mounted on a ceiling or wall or under the eaves and can provide wide-range pan/tilt/zoom monitoring of the entire space in which they are located. Live video can be accessed via the Internet on your computer, as well as on your mobile phone such as an iPhone. We provide cameras, software, cabling, brackets, domes and support.